In a popular city like Fort Collins and in a huge craft beer region like Northern Colorado, beer bars are thriving. These are the places we go to taste local brews alongside selections from across the country, to celebrate rare tappings and special events, and to gather with friends to celebrate community. And if you can’t tell already, we certainly don’t have a shortage of options. 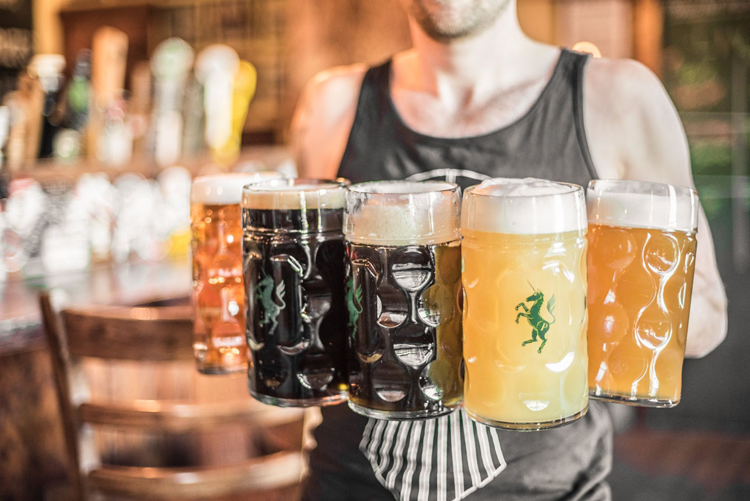 To help you track down the best tap lists in the region, we rounded up Northern Colorado’s best beer bars, from the beautiful lineup of 100 taps at The Mayor of Old Town to the outdoor beer garden at The Barrel in Estes Park and everything in between. Cheers! 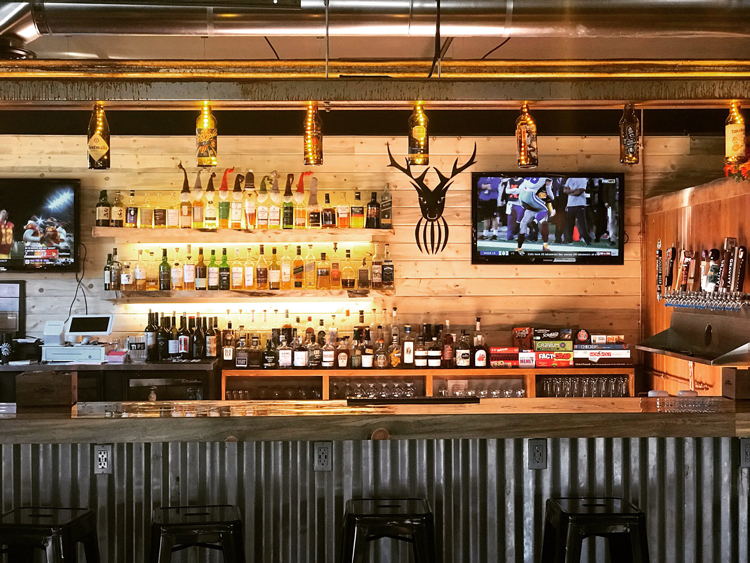 Situated at 9,600 feet next to Rocky Mountain National Park, The Barrel is a stunning beer bar and garden where owners and founders Ingrid and Lou Bush exercise their passion for craft beer, wines, spirits and community. At their community bar, they offer a total of 84 draught lines featuring craft beer, cider, mead and even craft root beer. Inside, you’ll find 20 taps, but the seasonal outdoor bar boasts a whopping 64! To see their current tap list, click here. Choice City is a go-to for breakfast, lunch and dinner, as well as hand-cut meats and deli items. But did you know they also have one of the best beer lists in the country, according to ratebeer.com? That list includes 37 specialty draft beers that rotate daily. And sometimes, that includes rare selections like Pliny the Younger and Pliny the Elder from Russian River Brewing Co. Next time you’re looking for a beer that’s rare, special and delicious, stop by Choice City. The Forge offers one of the coziest settings in Old Town. Complete with an iconic leather couch, a warm fireplace, frequent live music events, and a heavily local tap list, it’s one of the best places to pair community atmosphere with great craft beer. To get updates on the current tap list, follow the team on Facebook here. The Hop Grenade story begins in 2005 when homebrewer Justin Crossley founded The Brewing Network. With the growth of the network, the community and their podcast, Justin and his team opened their first location in Concord, California. And when they asked for city nominations for their second location, Fort Collins’ already thriving craft beer industry made it a top contender. Today, The Hop Grenade features 27 rotating taps and with all the knowledge and fun of The Brewing Network behind it. 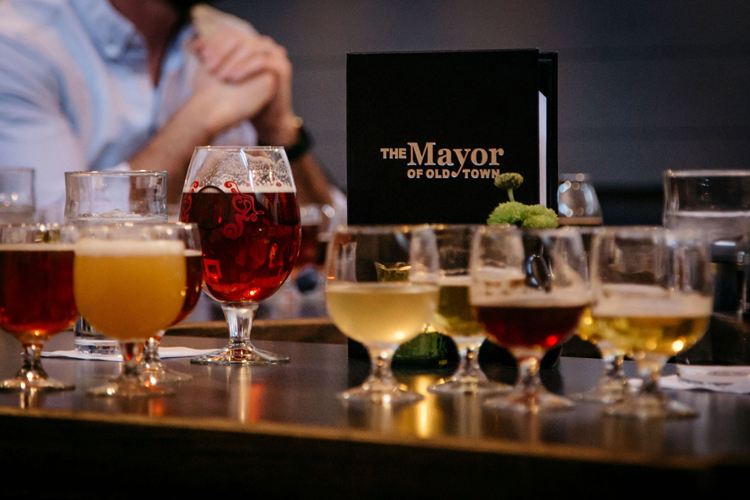 The Mayor of Old Town is the first name that comes to mind when we think beer bar. Their picturesque lineup of 100 taps represents one of the finest tap lists in Northern Colorado, and their stylish, semi-circle bar is one of the best places in town to talk beer and meet friends. Stop by for Pretzel Day on Fridays, check the event calendar for special celebrations, or swing by any day for craft beer and shareable snacks. To see the current tap list, click here. One of Greeley’s favorite watering holes, Patrick’s Irish Pub has been serving up craft beer, offering live music events, and hosting local food trucks for a decade. And their tap list, which offers more than 25 beers and ciders, represents local favorites and rare selections alike. Served alongside a full bar, it’s a great place to hang out in the heart of downtown. In addition to offering the longest happy hour in town, Pourhouse also has a huge lineup of 70 craft beer taps. With a huge food menu, full bar and weekly events like live music four nights a week, Geeks Who Drink trivia and no cover charge, it’s become a favorite hangout in downtown Loveland. Road 34 is a combination bar and bicycle shop and, with both beer taps and bikes hanging from the ceiling, there’s not much distinction between the two. Whether you’re there to talk bikes, sip craft beer, play a game of foosball, grab a bite to eat, or watch a game on TV, you’ll always find an open seat at the bar or the community tables. 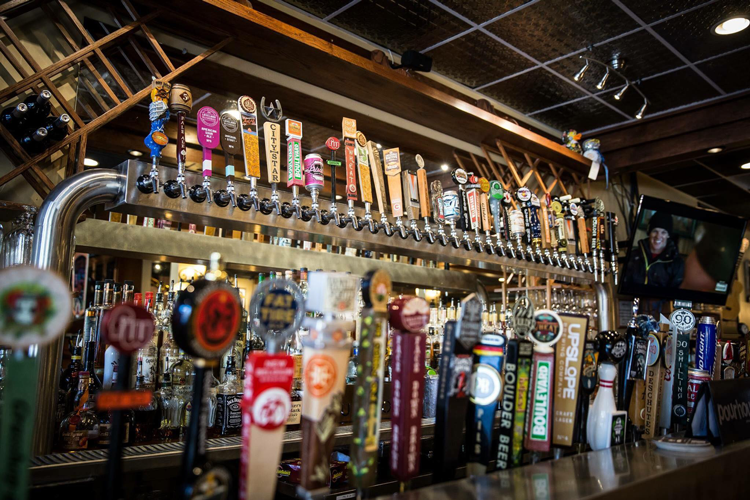 Located ideally in downtown Fort Collins, Tap and Handle boasts a buzzing beer bar atmosphere, one of the city’s best patios, a quiet upstairs seating area, free pool and darts, a parking lot, and 74 rotating taps of the world’s best ales, lagers, ciders and wines. Visit once and you’ll understand why this beer bar has been named one of the country’s best beer bars. Whether you’re at the Mariana Butte Golf Course location in Loveland or the downtown Estes Park restaurant, you’re guaranteed an iconic view, a gourmet meal and a delicious craft beer at Wapiti. After all, those are all part of their mission! As a true Colorado pub, they promise breathtaking views, unpredictable yet sunny weather, homegrown food and the largest, all-Colorado beer list in the state. If you have a favorite beer bar in Northern Colorado, tell us about it in the comments below—even if it’s not on our list!